21 bags down, 179 to go! 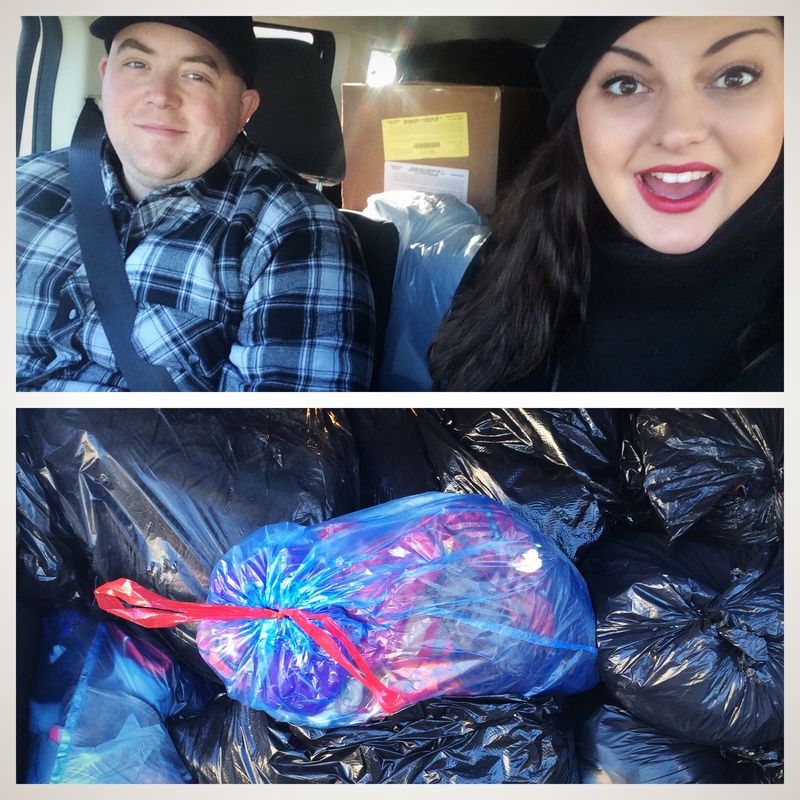 On Saturday (Oct. 31), Ryan and I packed our car with 21 bags and boxes of warm winter clothing donations and made our way to the Bissell Centre drop-off location. As always, the staff were incredibly grateful and helpful! This specific load contained a number of winter coats, warm kids clothing, a few quilts and even some brand new clothing that never been worn. Thank you to everyone who has donated so far — every donation truly makes a difference. As of today (Nov.2) you can drop off your donations at 102.3 Now! Radio studios (Suite 102, 9894 42 Ave NW), until Dec. 14! Huge thank you to Now! for partnering with #bundleupyeg for the second year in a row. I am so grateful for all of your support. And remember, for those of you closer to West Edmonton Mall, you can drop off your donations at the Santa Maria Ship until next Tuesday (Nov. 10). It’s been a pleasure partnering with WEM and their amazing team this year. They truly have gone above and beyond in supporting #bundleupyeg. Remember, if you have donations but don’t have the time to drop them off, that’s what #bundleupyeg is for. Send me an email (bundleupyeg@gmail.com), or find me on Twitter and we can arrange a day and time for me to take those donations off your hands.